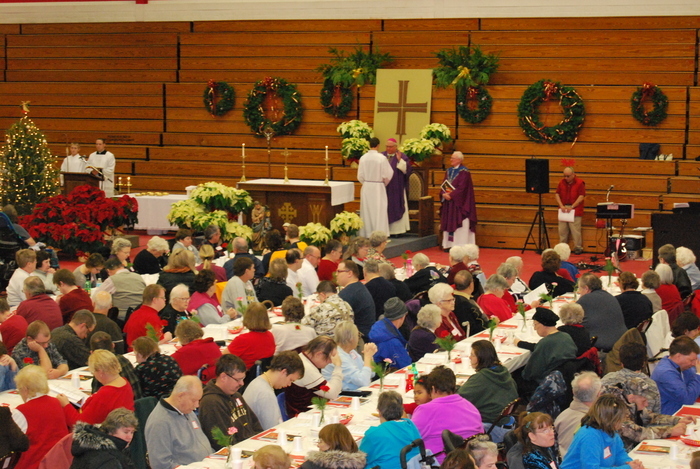 This annual event is an opportunity for people with disabilities, the elderly, and their friends and family to gather for a joyful celebration of Advent and Christmas. The event takes place in the gym of Monroe High School 1600 28th St. Monroe, WI 53566. For questions or to reserve a free ride on a bus coming from your region of the diocese, please call our office at 608-821-3050. Any limitations or accommodations needed? If you need assistance with medications, bathroom use, walking, or pushing a wheel chair, please invite a friend or family member to accompany you on the trip! Please provide if you would like to receive a mailed reminder letter. Bus assistant - Ride on a local bus and support people with disabilities coming from your region of the diocese. Select any that you would be interested in doing. Final assignments will be given at the 9am meeting on the day of the event. How would you like us to contact you with additional details?